Join us for our “Current Issues in LGBTQ Health” lecture series featuring Dr. Héctor Carrillo! Dr. Carrillo will be presenting a talk on his book “Pathways of Desire: The Sexual Migration of Mexican Gay Men.” This lecture will be on Thursday, June 7th 2018 from 12:00-1:30 pm in the Stonewall Conference Room of 625 N. Michigan Suite 1400. This lecture will be recorded and live streamed via BlueJeans. How do migrants’ sexualities change as a result of their transnational relocation? With Pathways of Desire, Héctor Carrillo brings us into the lives of Mexican gay men who have left their home country to pursue greater sexual autonomy and sexual freedom in the United States. Carrillo brings our attention to the full arc of these men’s migration experiences, from their upbringing in Mexican cities and towns, to their cross-border journeys, to their incorporation into urban gay communities in American cities and their sexual and romantic relationships with American men. These men’s diverse and fascinating stories demonstrate the intertwining of sexual, economic, and familial motivations for migration. Pathways of Desire examines the bidirectional, albeit uneven, processes of exchange between countries in the global North and the global South. By considering sexuality-related change in the global South, it challenges the view that gay men from countries like Mexico would logically want to migrate to a “more sexually enlightened” country like the United States. And, at the most practical level, the book shows how the intricacies of cross-cultural sexual and romantic relations may affect the sexual health and HIV risk of transnational immigrant populations. 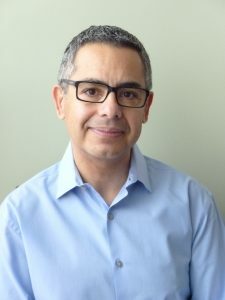 Dr. Héctor Carrillo is professor of Sociology and Gender & Sexuality Studies at Northwestern University, where he also co-directs the Sexualities Project at Northwestern (SPAN). Dr. Carrillo is the author of the award-winning book The Night Is Young: Sexuality in Mexico in the Time of AIDS, and of Pathways of Desire: The Sexual Migration of Mexican Gay Men, both published by the University of Chicago Press. He currently conducts research on the paradoxes of the modern notion of sexual identity.